Insomniac Events is kicking off your 2017 with a massive bang via the return of Audio on the Bay. Since its 2014 beginnings, Audio on the Bay has become one of the most anticipated events of the year throughout the San Francisco Bay Area… And I’m super excited that this festival will return to Craneway Pavilion Saturday, January 14, and Sunday, January 15. This is the first major event of the New Year and will be sure to be another two-day weekend of beats, bass and awesome production. Expect the signature Insomniac enhanced concert experience in a more intimate setting… with a sick dancefloor and beautiful backdrop. 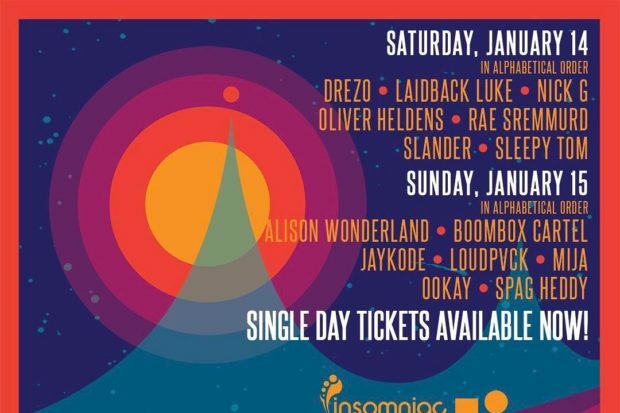 On day one, Audio on the Bay is stacked with the one and only Laidback Luke, along with a crew of incredible DJs and producers (including Oliver Heldens, Drezo, Rae Sremmurd, Slander, Sleepy Tom and Nick G). Day two brings more dope artists to the stage, including Mija, Ookay, Alison Wonderland, Boombox Cartel, Jaykode, LOUDPVCK, and Spag Heddy. Needless to say, this is one show you won’t wanna miss! This event is definitely the ideal kickoff to another year full of good music, good vibes, and festivals upon festivals. Save yourself some major FOMO, and get your tickets now. Audio on the Bay 2017 takes place Saturday, January 14, and Sunday, January 15, at Craneway Pavilion in the San Francisco Bay Area. Tickets are available now. For more information, visit the official event page.